The City Council last night confirmed the appointment of former Liquor Board chairman Stephan W. Fogleman to the Baltimore Ethics Board. The body’s Executive Appointments Committee recommended Fogleman’s confirmation last month on a motion by Carl Stokes, seconded by Eric T. Costello and approved by Rochelle “Rikki” Spector. The chairman of the committee, William “Pete” Welch, and 7th District Councilman Nick Mosby were absent. After serving seven years as chairman of the three-person Liquor Board, Fogleman was replaced in June 2014, by the late Thomas Ward. 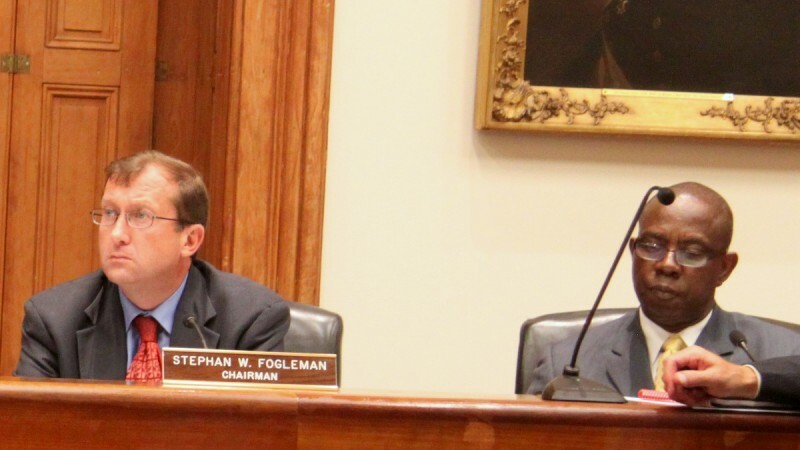 Ward’s appointment came on the heels of a highly critical audit of the board during Fogleman’s tenure conducted by the Office of Legislative Audits in Annapolis. Fogleman took a position as a judge on the Orphan’s Court. but he failed to get enough votes in the Democratic primary a year later to retain his seat.